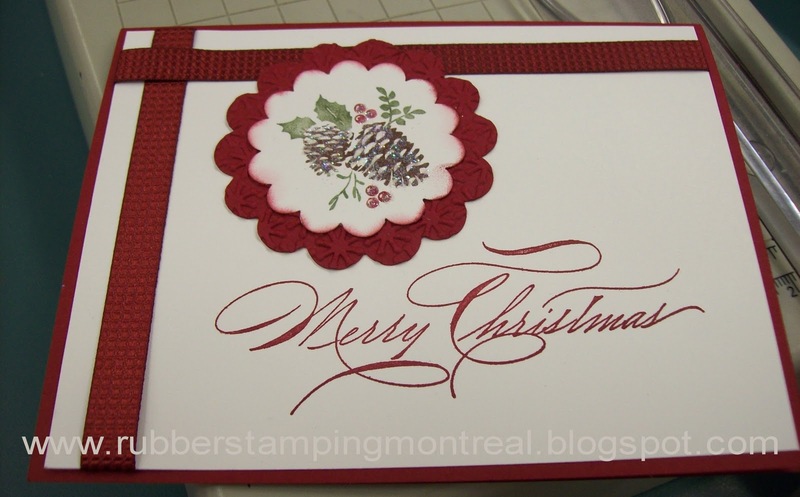 Christmas Card Stamp a Stack of 12 cards!! We will be making 12 cards total with coordinating envelopes. 3 Different Christmas Card Designs, 4 of each card! Order more than $50 in products at the class and receive $10 off your class fee! Demonstrators in my Stampin' Up! downline receive $10 off ! In the Studio at 4pm - Kids Halloween Treats Class! Come with your child (ren) and make your Halloweeen Treats! and so on in increments of 10. Stampers Club Members receive an extra 5 treat bags FREE! Don't have any kids in your life but would like to make some for your coworkers?? An Offer to 'Die' For! FREE BIG SHOT or $125 in Stampin' Up! Products !!! Watch the video above where Shelli Gardner herself, co-founder and CEO of Stampin' Up! tells you and shows you the AMAZING to "Die" for promotion in October!! You don't want to miss out on this amazing deal!!! If you are viewing this in an email...click on my blog link at the bottom to see it online! I am able to offer this deal to ANYONE in Canada!!! Date: October 1-31st, 2011 - FREE Stampin' Up! BIG SHOT (or $125 in Products) !!! Welcome to October!!! Stampin' Up! has one amazing promotion you do NOT want to miss !! 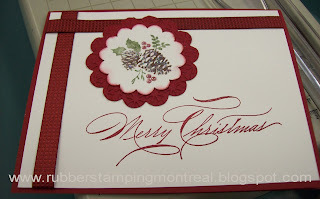 During the month of October 2011, when you purchase a Stampin' Up! starter Kit and become a Stampin' Up! Demosnstrator - you can select the Stampin' Up! BIG SHOT for FREE or choose up to $125 in Stampin' Up! products - your choice!!! There is no commitment to sell and you will get the benefits until at least the last day of March 2012! DON'T MISS OUT ON THIS AMAZING DEAL - $125 in FREE Products or a FREE BIG SHOT!!! Past demonstrators are welcome to join and enjoy the savings!!! •Purchase a Starter Kit during the promotional period AND you will receive a Sizzix Big Shot Machine or $125 in Stampin' Up! products of their choice from any of our current catalogues. •Once you purchase a kit and receive your demonstrator ID number, you will be able to select your product bonus through the website approximately one hour after. •Ensure that your free total comes as close as possible to $125 without going over since the Promotional Product Bonus order type will not allow items beyond $125 to be added to the order. •You will have until November 30, 2011 to redeem your product bonus. •You have the option to substitute a Textured Impressions Embossing Folder ($9.95 or less; see pages 218-219) for the Always Bird Décor Elements (p. 233) that comes standard in the Starter Kit. 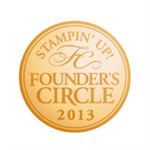 As a member of my Stampin' Up! Team, you will be able to take advantage of the demonstrator perks and privileges until at least March 31st, 2012….which includes Sale-A-Bration….our biggest sale of the year! Questions? Ready to see the paperwork and join my amazing team? Email me or call me….I'm here to help! What a fabulous present you will give yourself !! Happy Savings! Looking forward to having YOU join my Stampin' Up! Family! Stampin' Up! Sweet Pressed Cookie Stamps now available in Canada! 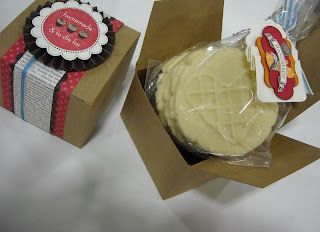 Sweet Pressed Cookie Stamps are a brand-new Stampin' Up! 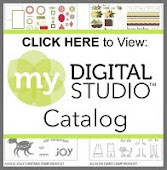 product that will appeal to crafters and non-crafters, alike-not to mention kids! What a wonderful unique gift!! The easy-to-use cookie stamp has a solid wood handle with three interchangeable stamp images: a heart, a jack-o-lantern, and a snowflake. Food safe - dishwasher safe! Just make your favourite shortbread cookie dough (or one of the two included recipes) and stamp away! Create beautiful, hand-stamped cookies in a flash. The stamp images are completely food-safe and child-friendly. Item # 125152 Price $20.95 Cdn. cookie recipes included. 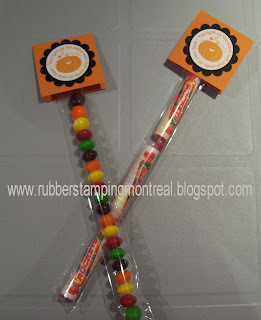 Each includes set of 3 silicone stamps and 1 handle. Email me here to place your order! Can be combined with any other Stampin' Up! products!! Can be shipped anywhere in Canada! CLICK HERE <---------- to view my classes, crops etc on my Facebook Fan Page! The Spooky Bingo Bits Stamp Set was designed to easily create a boo-tiful Bingo card. 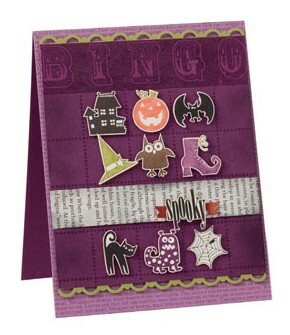 Pair this with the Bingo Card Background Stamp to scare up some fun at your next Halloween party. Contact me to book your workshop, join a club, come to a class or a crop ! Stampin' Up! CLEARANCE RACK Items Oct. 2011 - Up to 60% off While Supplies Last! Yahoo!!! Stampin' Up! just added goodies to the clearance rack!!! You are looking at the SALE prices...original prices were up to 60% more!! To view original prices or more details click on the link to each item! Clearance Rack Items are limited quantity and while supplies last. All are considered final sales, no refunds or exchanges. Don't forget... Clearance Rack Items are limited quantity and while supplies last.